CRCC housed the Pentecostal and Charismatic Research Initiative from 2009 to 2013. Findings from the initiative can be found here. Pentecostal and Charismatic religion flourishes at some of the most fluid and hotly contested boundaries—cultural, religious and economic—in the age of globalization. 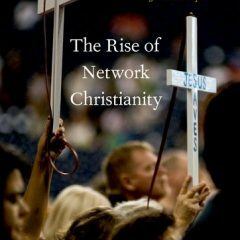 Broadly categorized as renewalist movements, these religious communities are experiencing their most dramatic growth at the frontier between Christianity and Islam in Nigeria; in the vast factory towns of China’s interior; among members of the rising middle class in Kenya; in the slums that ring the rapidly modernizing urban areas of Central and South America; in Muslim-majority Indonesia and Hindu-majority India. Encompassing more than half a billion adherents and blurring many of the traditional distinctions between Protestantism and Catholicism, renewalism is widely believed to be the fastest-growing religious movement in the world. With researchers deployed in over 20 countries across the global South and East, the Pentecostal and Charismatic Research Initiative (PCRI) aims to provide answers to three key questions related to renewalist movements: What are the defining characteristics of Pentecostal and Charismatic religion? Where is it growing and what factors account for its growth? And what are the social and political consequences of renewalism’s proliferation in places where the upheavals of recent decades are most acute? Through a competitive application process, the Pentecostal and Charismatic Research Initiative (PCRI) awarded five grants to research centers and 16 grants to individual scholars. The initiative provides funding for research in four specific geographic regions: Africa, Asia, Latin America and the former Soviet Union. Comparative research projects are also part of the initiative, including projects that explore the connections between Western countries and one or more of the four regions. Research projects engage topics of interest not only to Pentecostal and charismatic specialists, but to a broader group of scholars as well as journalists interested in the dynamics of social change and the potentially dynamic role of religion in this process. Projects involving only theological questions were not eligible under the request for proposals, but collaborative research and interdisciplinary projects involving theologians are included in the initiative. Funded by the John Templeton Foundation, PCRI is intended to provide a scholarly framework to investigate Pentecostalism and the various renewal movements that have emerged in Roman Catholicism and mainline Protestantism. PCRI is administered by the Center for Religion and Civic Culture at the University of Southern California. The John Templeton Foundation serves as a philanthropic catalyst for research and discoveries relating to the Big Questions of human purpose and ultimate reality. The foundation supports work at the world’s top universities in such fields as theoretical physics, cosmology, evolutionary biology, cognitive science and social science relating to love, forgiveness, creativity, purpose and the nature and origin of religious belief. It also seeks to stimulate new thinking about freedom and free enterprise, character development and exceptional cognitive talent and genius. Regional centers facilitate and create hubs for academic collaboration that enhance long-term scholarly cooperation around themes related to Pentecostalism and charismatic Christianity. Regional centers seek to develop networks that can engage multiple academic disciplines from multiple institutions in the region of interest. The centers facilitate the creation of a network through consistent communication between scholars (virtual or in-person), conferences, colloquia, seminars, and publications. Individual grants support research into Pentecostalism and charismatic Christianity in four specific geographic regions: Africa, Asia, Latin America, and the former Soviet Union.